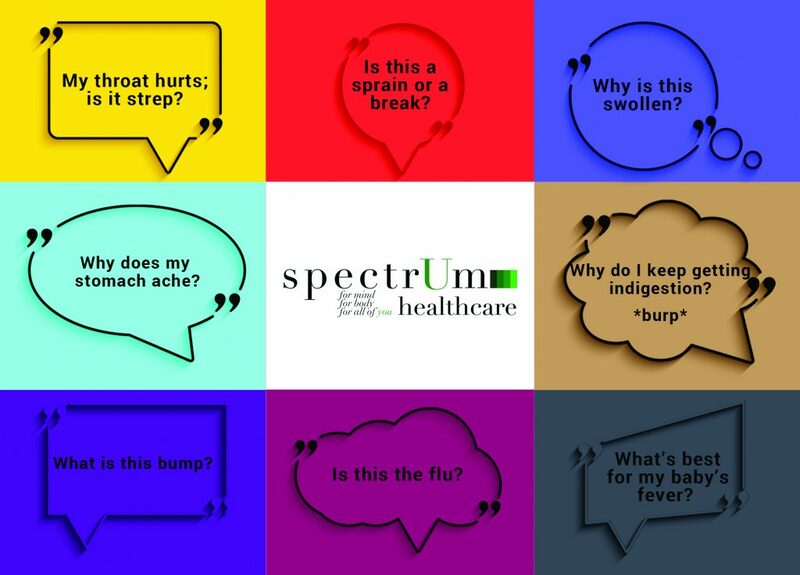 You have questions about your health…a lot of questions. And we LOVE that you do, because we have answers. 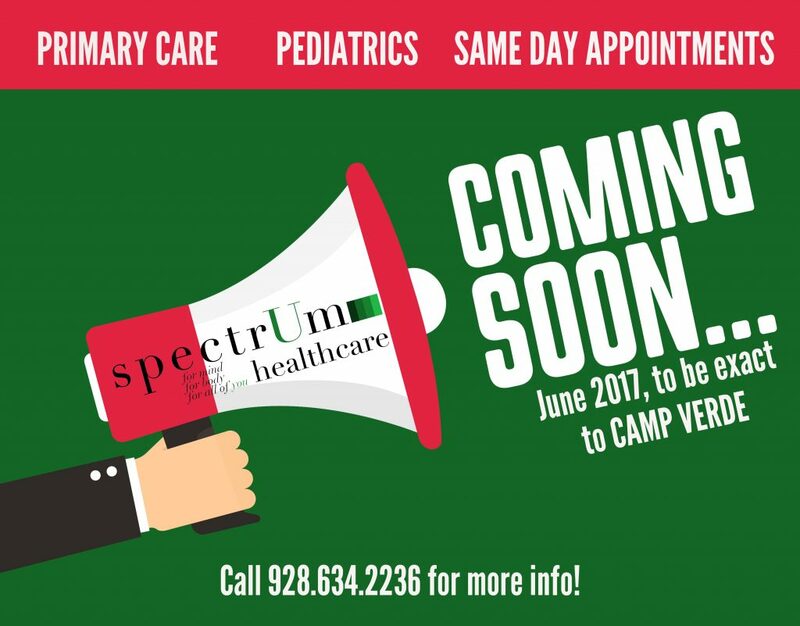 Our Spectrum team of dedicated Family Care and Pediatric healthcare providers has ONE goal: helping YOU feel better. We accept most insurance plans, including AHCCCS, offer many same day appointments and even welcome walk-ins. And because we offer the convenience of an on-site pharmacy, you can get your prescription filled before you leave. So keep the healthcare questions coming. We’ll be here with the answers. Yesterday was the football game many wait an entire year to watch: The Super Bowl. Maybe your team was on the field; maybe you just watched for the commercials. Or maybe, the game was just a great excuse to get together with friends and laugh and cheer and eat good food. But no matter the reason for watching, the Super Bowl is a marvelous study in teamwork. In fact, you can’t help but marvel at how the game is nothing without the team: everyone pulling his weight, doing his part to achieve success. Coaches, trainers, support staff, athletes and yes, even the fans, working as one for the same goal. 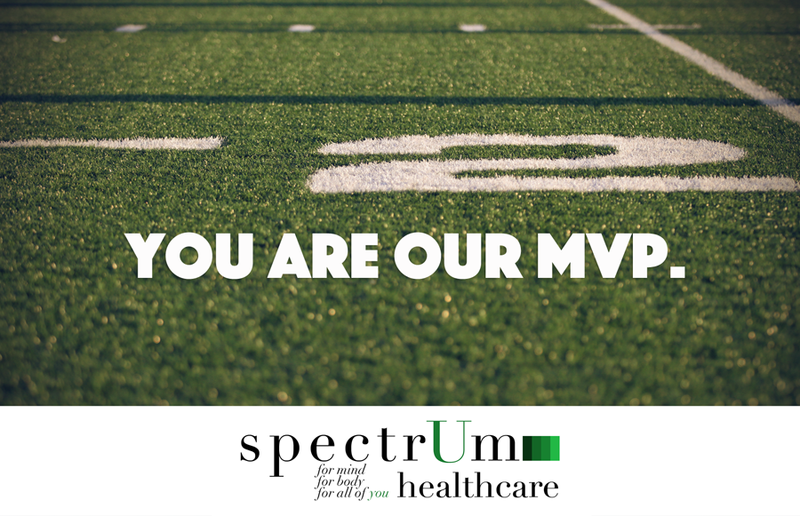 At Spectrum, we don’t work on a football field, but we do understand the importance of teamwork. It’s what Integrated Healthcare is all about: combining the efforts of all our doctors, healthcare providers and staff to create BETTER healthcare for our patients. We all join forces for one goal: YOU. Because when YOU feel better, we consider it a “touchdown!” And that’s something to cheer about. 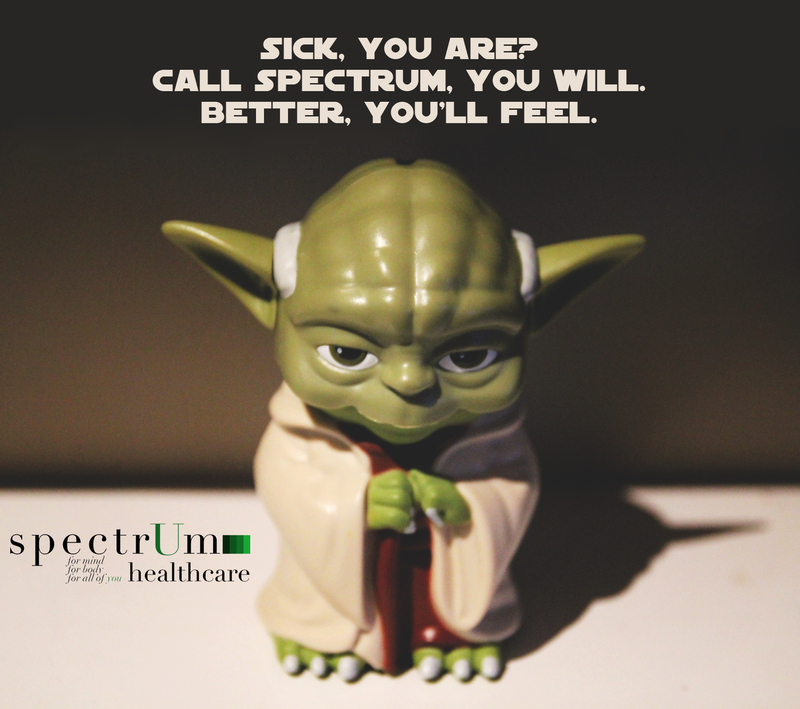 With the new Star Wars movie right around the corner, we wondered what Yoda would think of Spectrum Healthcare. He’s wise, that Yoda is.